We’re on our second week of delicious espresso glory courtesy of Ms T and her new espresso gadget which makes that frothy concoction. Sadly, migraine is my nemesis and migraine thrives on caffeine. I guess you know what happens when I indulge. But I fall victim to my weakness sometimes; or is it a lot of times? That is something I have accepted albeit regretfully and I always deal with the aches somehow. 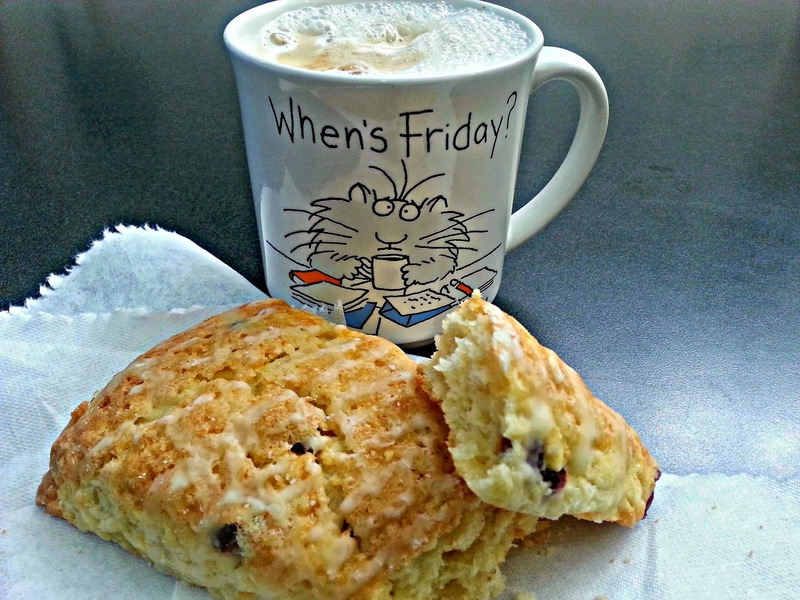 You know, savoring a wonderful cup and then prepare for the worst :-) Meanwhile, good coffee deserves something of the same class so the serial baker in me made Cranberry-Orange scones for our breakfast today. So who needs Starbucks when Ms T and I can make the best breakfast together? (I would jestingly refer to myself as a serial baker/cook because I tend and I love to do/make series of anything that interests me). I was going to do a repeat of the blueberry ones I made the other day but someone accidentally trashed my blueberries. 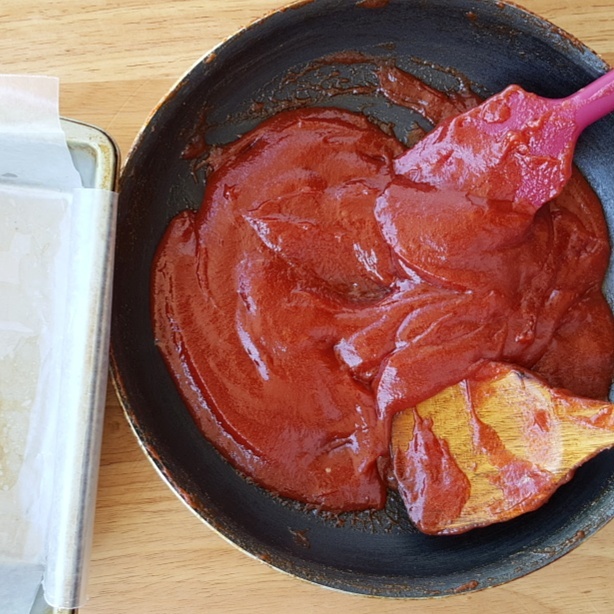 Fortunately, I have all the ingredients for another popular flavor which is a guaranteed crowd-pleaser despite its simplicity. Cranberries and orange- there's something about the two that makes the combination almost magical just like blueberries and lemon and strawberries and balsamic vinegar. The just do pair well together. 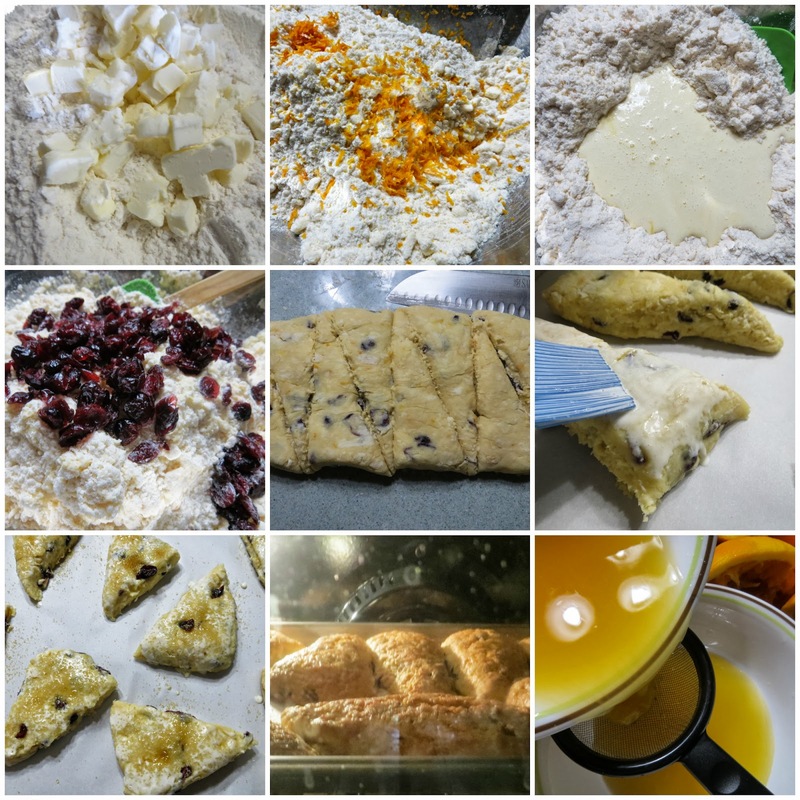 You bet, just well-chilled unsalted butter; milk; fresh oranges and cranberries equals flaky and light scones that will make you forget about calories although according to Ms JC- it’s not that bad. Regardless, what can be so bad about these ingredients? 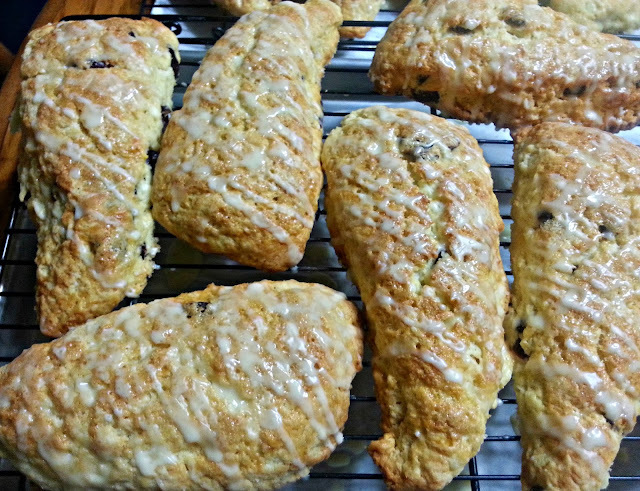 And if it’s wrong- then I don’t want to be right because these scones are worth every calorie in the world. Dump the dough onto a well-floured surface and with floured hands gently knead and form into a log. Do not overwork. 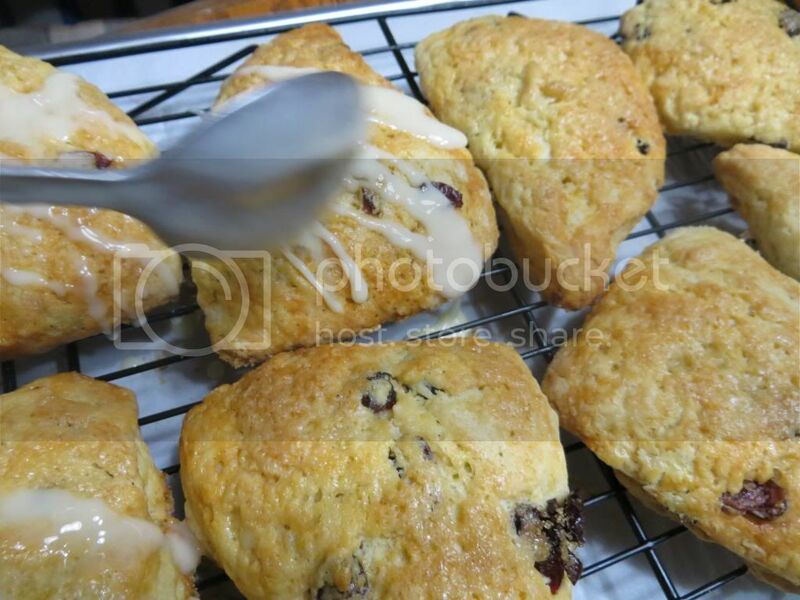 Bake for 20 to 25 minutes until the tops are lightly browned and scones are firm when gently touched. Serve with tea or just like in our case- the best espresso in town. Taken with my cell phone- want one? I just remembered- I could have taken pictures of Ms T's amazing coffee gadget. Next time for sure~ when I bake more scones. Delicious!! Thank you for sharing! !